Let’s face it, the last thing you want to do is be stuck at home with your kids on a snowy day. There are only so many crafts to be done, books you can read, and make-believe you can play (I am SO sick of being the dump truck! Can’t I be the ambulance or race car for once!?!). And don’t get me started on the tv shows. When I start having dreams about the Octonots taking me to see Mickey Mouse in his clubhouse and then Dora shows up with Jake the Neverland Pirate I know I’m starting to lose it. Everyone is getting a little stir crazy and we all need a little exercise. And I mean NEED it! Kids are actually supposed to get at least an hour of vigorous physical activity EVERYDAY! With budget cuts hitting our public schools hard these days, physical education is the first thing to go. And you can forget about them getting the activity they need during recess. This is also being shortened and with the heightened fear of litigation from “bullying”, simple games that we all enjoyed during childhood like tag are being banned at playgrounds all across the country. So, it is time to start moving. And when better to start than when you are snowed in with your kids with nowhere to go and nothing better to do (except lose your mind in Neverland). Let’s get started! Below are some workout ideas, videos and more that you can do with or without your kids. Most importantly, have fun! 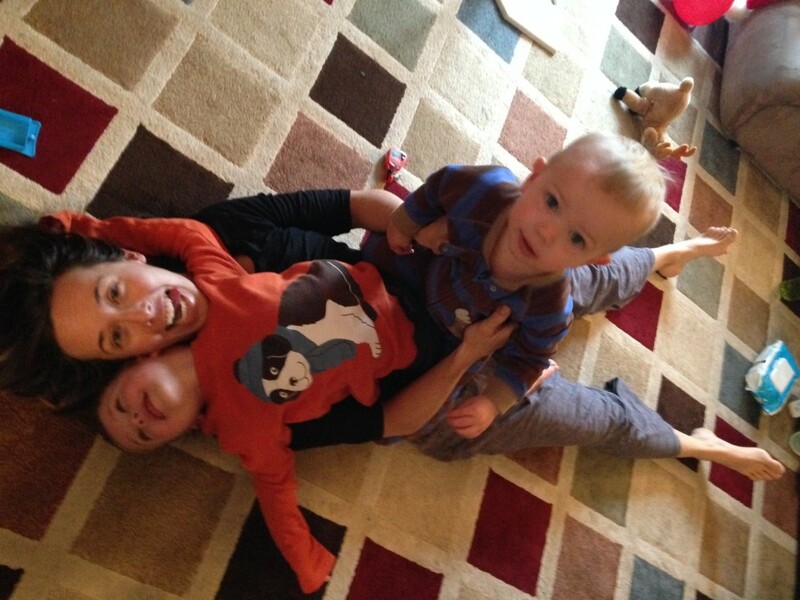 This was a pretty tough one as both kids wanted me to hold them during the squat. Almost 60lbs! I did about 15 of each and then repeated for 3 rounds. 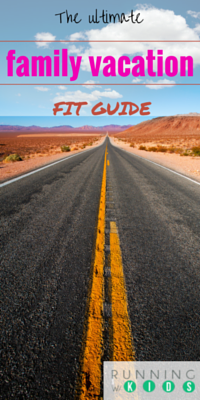 This is one that is both fun and a great workout for you and your kiddo’s! The video outlines it pretty well but the goal is to be holding that plank for about 5 minutes. You can alternate between the high plank and low plank and also sway (London Bridge is Falling down). Then move onto the push-ups. For kids this is a fun “ride”, for you it is push-ups on steroids! Just try your best and keep your core tight. Do them on your knees if you need to. Goal= 10 reps X 3, then repeat both drills 1-2 more times. Have fun!! I love snowboarding. In fact, that is how my husband and I met, on a chairlift! It has been a good 3 years between kids and recovery since I’ve really be able to go consistently so when I do go, I want to be ready to hit the bumps, trees and steeps! 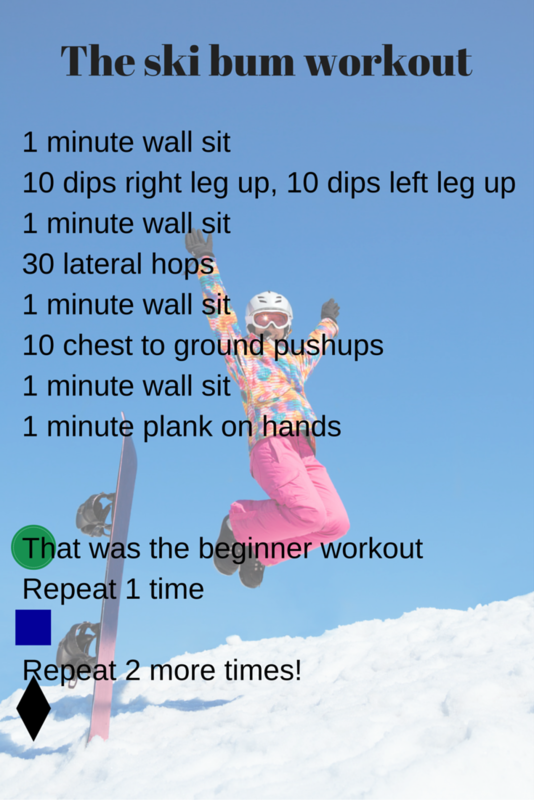 This is a great little workout I put together that will help train the muscles and recovery systems for both skiers and snowboarders. We need to have a quick response time and great agility to get through those mogul fields so on those lateral jumps don’t slack! Jump high, far and quick, leaping to the other side the second your feet hit the ground. The wall sit is an obvious one but you will thank me for this one (especially if you are a snowboarder), when you get to those long catwalks. The only thing missing from this workout is probably a couple sets of calf raises so if you have the energy, try to add in three sets of calf raises, 2 minutes per set. You can incorporate your kiddos into this workout by letting them sit on your legs during the wall sit and dips, and on your back during the push-ups and planks. Hold the kids while you do the hops. (this automatically bumps you up to the double black diamond status). Or have them try the workout with you! The hops are always fun for the kids and during the wall sit they can crawl through your legs and then over, make it a “tunnel/bridge” game. Enjoy and then hit the slopes! It’s time to get strong! Overhead squats, double weighted squats (2 kids) and walking lunges. A couple months ago we decided to take our youngest completely out of day care (we had him in 2 days a week) and take on the challenge of being full time work from home/stay at home parents. It’s a juggling act as both Scott and I run our own small businesses, fitting in work during naps and lots of late nights, but completely worth it to be around for every precious moment. With temperatures in the teens last week I had to come up with some creative ways to fit in a workout and keep West entertained! ——> This game is also a great teaching moment for number recognition and counting.